Death, it seems, is always tragic. It spoils everything. But for Christians, the death of Jesus is not a tragic waste but the central event of history. 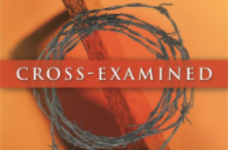 Why is the cross so important and how are we transformed by it? Wilderness is a dry and lifeless place causing the people of God to confront their fears and frailty. 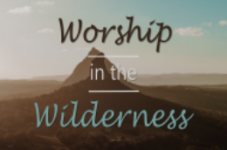 But wilderness is also where we discover God's provision and transformation, where we encounter God afresh.